On Friday, Sept. 7, rapper, producer, and musician Mac Miller died of a drug overdose in his home at the age of 26. The death of Mac Miller, born Malcolm McCormick, is a tragic loss of an evolved young artist in the midst of his creative prime. The thirteen track album is a cohesive, reflective narrative about destruction and rebirth, evolving from his past, dealing with his darkness, and picking himself up again- although he acknowledges the uncertainty of his future. The sound is slow and spacey, with influences of jazz, funk, and soul. 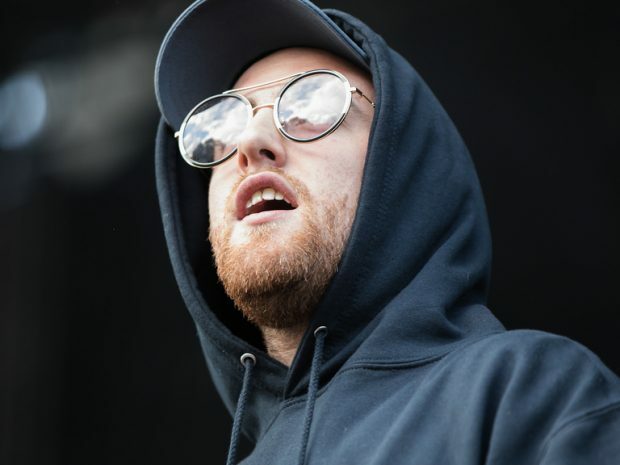 Producers credited on Swimming included Miller himself, under his pseudonym of Larry Fisherman, as well as J. Cole, Flying Lotus, multi-genre bass guitarist Thundercat- who was set to go on tour with Mac in Oct. as a member of his band, and esteemed film composer Jon Brion- known for scoring Eternal Sunshine of the Spotless Mind and Lady Bird among others. Snoop Dogg, John Mayer, Syd, and J.I.D. are also featured. On Aug. 6, Miller and his band, which featured a string quartet, played a warm and reflective Tiny Desk Concert for NPR, showcasing live for the first time three songs from Swimming– “Small Worlds,” “What’s the Use?,” and “2009”. The set is haunting to watch in the wake of his death, with predictive lyrics like: “That’s why I wrote this song, told myself to hold on, I can feel my fingers slippin’, in a motherfuckin’ instant I’ll be gone”. This was the same month that Miller publicly split with his girlfriend of two years, pop superstar Ariana Grande, whom many believe was the muse for his 2016 funk-jazz album The Divine Feminine, an album that celebrated and meditated on love and the feminine energy of the universe. The Internet turned the blame to Grande after the DUI, attributing Mac’s accident to her whirlwind romance and engagement to Saturday Night Live star Pete Davidson just one month after the breakup, which made consistent headlines over the summer. Ariana denied any responsibility, calling her relationship with Miller “toxic”, and detailing the struggle of being in a relationship with an addict: “I am not a babysitter or a mother and no woman should feel that they need to be.” Now, in the wake of his death, commenters continue to blame her, sparking an online discussion of what’s been dubbed “The Yoko Effect”- pop culture’s “desire to connect female partners to actions they may not comprehend”, as described by Rolling Stone.